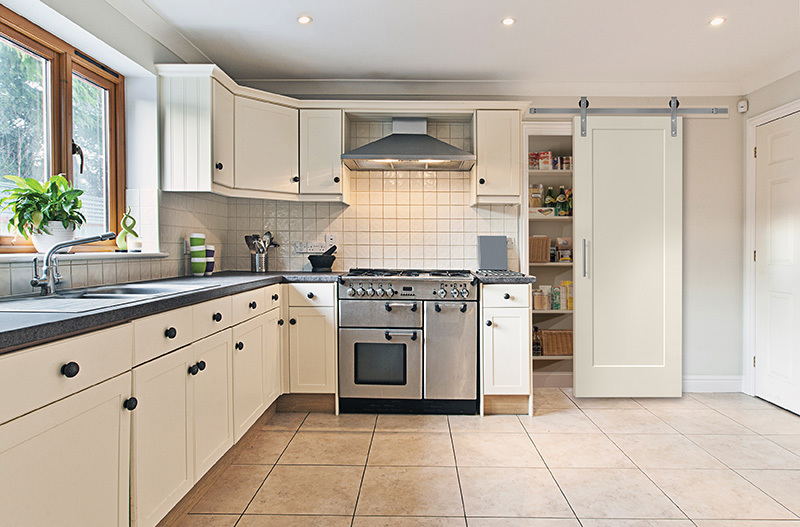 Barn doors are a great new way to hide spaces and enlarge spaces. They are becoming increasingly popular for a variety of reasons. Here are a few of those reasons. 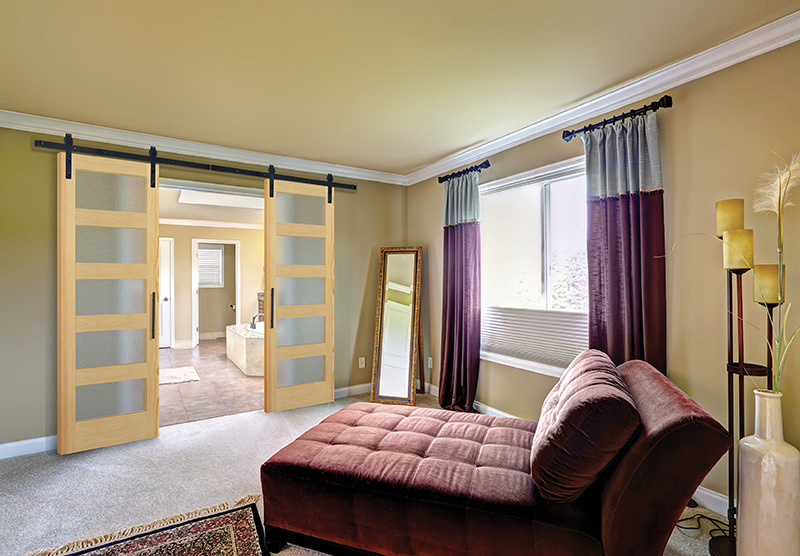 Barn doors can be made the focal point of a room and can help enhance the design. Also, they can help hide electronic devices or clutter. Barn doors can be turned into a large chalkboard. We can provide you with a chalkboard door. You can also paint a door with chalkboard paint for a more cost effective alternative. Is there something in your home that you want to hide? Barn doors are a beautiful way to keep storage places hidden. 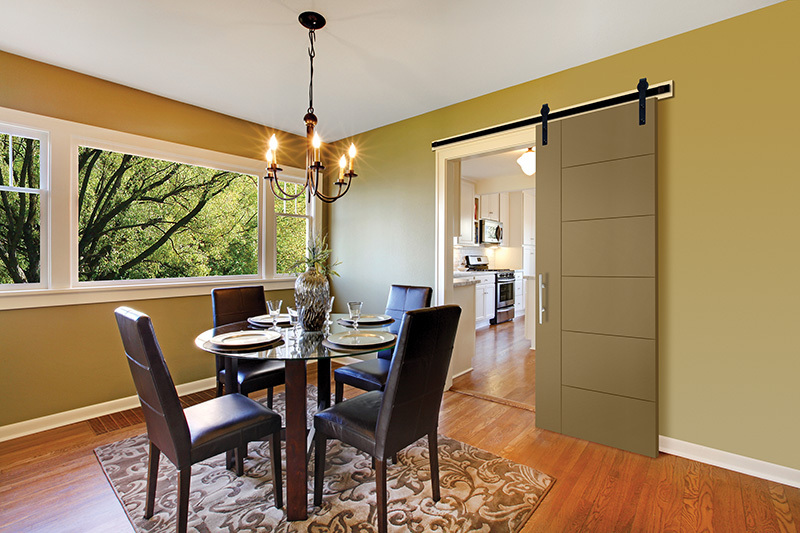 Consider hiding a pantry or library with barn doors. Make spaces appear larger by installing barn doors. 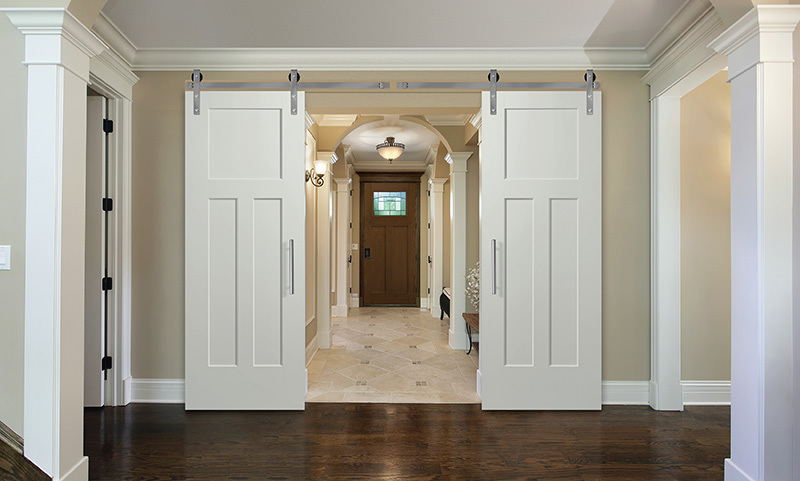 You can easily open up and close up spaces with these doors. Barn doors are not meant to be locked. Put this into consideration when choosing where to put them. For example, if you desire privacy then it may not be a good idea to use it as a bathroom door. With barn doors there may be a small gap between the door and the wall. You will need hardware to put at the top of your door. 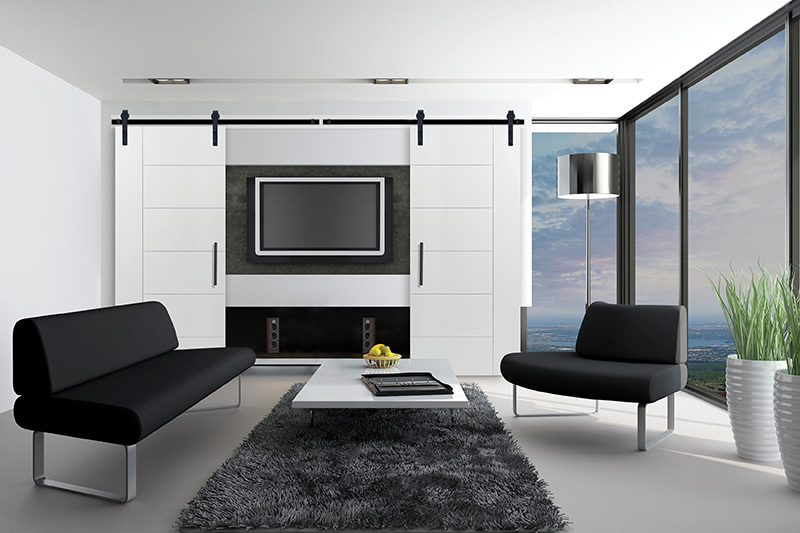 Choose hardware that enhances the door, matte black and stainless steel finished help create a modern look. Also, remember that you will have to drill holes into your wall. Therefore, think about if you want these doors for the long run. There are a variety of doors that can be made into barn doors. 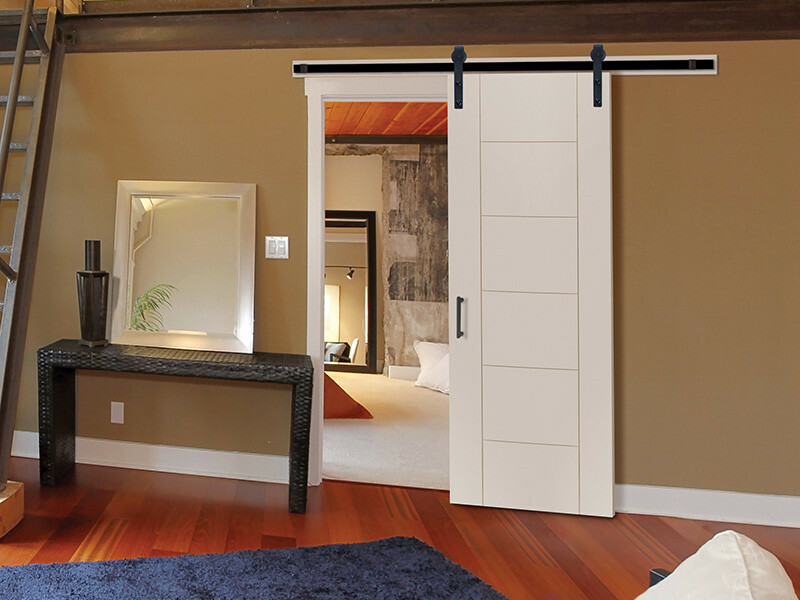 If you have a door in mind that you’d like to use as a barn door, let us know and we’ll try to make it happen.